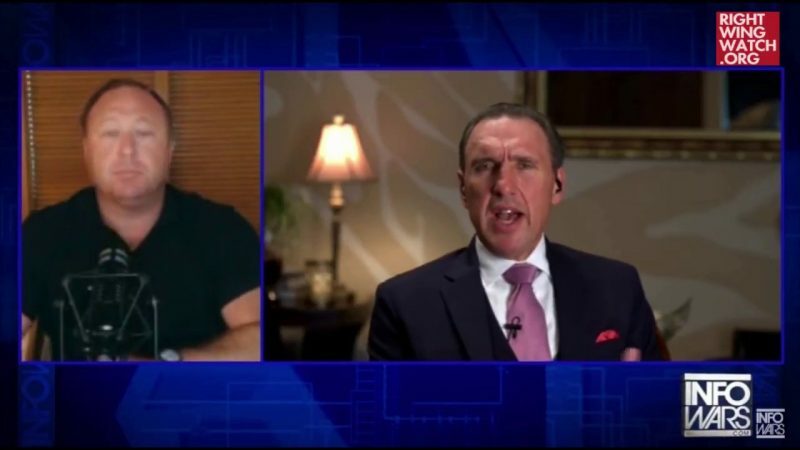 Pastor Rodney Howard-Browne, who placed hands on President Trump in prayer last year, joined Alex Jones on Infowars yesterday and urged Christians to “get radical” because only “divine intervention” can save America from the evil globalists Jones and Browne believe are working to destroy the world. Yesterday, Browne joined Jones to promote his new book, “The Killing of Uncle Sam,” and discuss what he believed to be current threats against Christians and against President Trump. 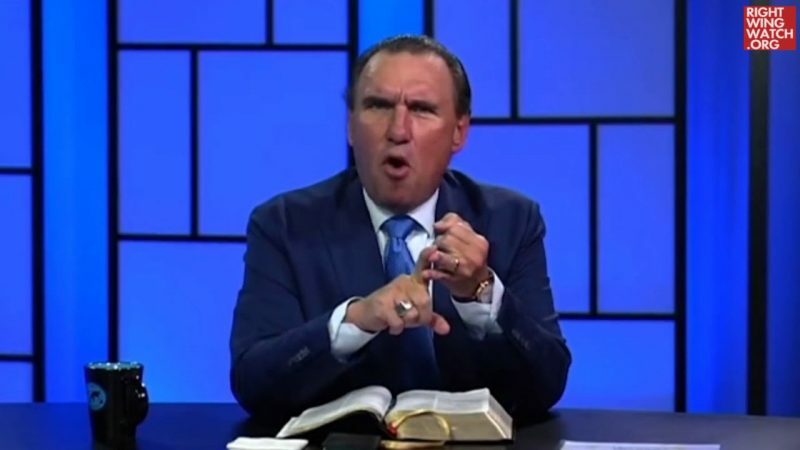 Jones said that one threat churches and religious groups have faced is social media censorship, claiming that social media companies have been removing posts because they featured references to Jesus and other biblical figures. “The body of Christ has to stand up. First, we have to pray. Last night, we had a three-hour prayer meeting at the church praying exactly over these things and really asking God for divine intervention. And the church has to get radical. 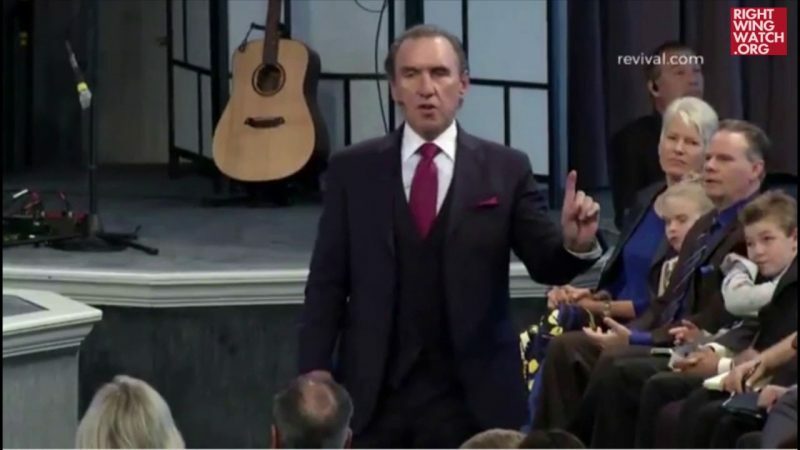 The people of God have to get radical,” Browne said. Jones said he would compare the state of America to “a ship on fire and Trump is desperately trying to right the ship” while “globalist gremlins” are trying to stop him.